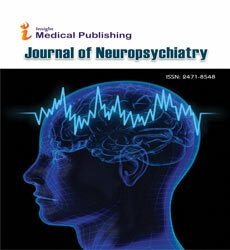 The Journal of Neuropsychiatry publishes original contributions to scientific knowledge in neuropsychology including: Neuropsychiatric genetics; Clinical and research studies with neurological, psychiatric and psychological patient populations in all age groups; Behavioural or pharmacological treatment regimes; Cognitive experimentation and neuroimaging; Multidisciplinary approach embracing areas such as developmental psychology, neurology, psychiatry, physiology, endocrinology, pharmacology and imaging science. Journal of Neuropsychiatry focuses on basic research as well as on applied, clinical research that will stimulate systematic experimental, cognitive, and behavioral investigations as well as improve the effectiveness, range, and depth of clinical practice. Theoretical reviews, meta-analyses, and case reports with heuristic value are also published. Neuropsychiatry Journal has one of the fastest turnaround times of any medical journal in the world. Generally peer review is complete within 2-3 weeks and the editor’s decision within 2-7 days of this. It is therefore very rare to have to wait more than 4 weeks for a final decision. Neuropsychiatric genetics focuses on studying individual genetic contribution and overall genetic architecture of neurologic and psychiatric disorders in order to understand the underlying genetic mechanisms and pathogenic pathways for these brain disorders. Psychology & Psychotherapy, American Journal of Medical Genetics, The Journal of Neuropsychiatry & Clinical Neurosciences, Clinical Neuropsychiatry, International Neuropsychiatric Disease Journal, International Journal of Geriatric Psychiatry. International Journal of School and Cognitive Psychology, Journal of Cognitive Neuroscience, Journal of Cognitive Neuroscience, Developmental Cognitive Neuroscience, Cognitive Neuroscience, Brain. Acta Psychopathologica, Clinical Neuropsychiatry, Seminars in Clinical Neuropsychiatry, Journal of Clinical Psychopathology, Journal of Psychopathology, Journal of Clinical and Experimental Psychopathology, Integrative Psychological and Behavioral Science, Journal of Clinical Child & Adolescent Psychology, Mediterranean Journal of Clinical Psychology, American Journal of Medical Genetics. Neuroscience that focuses on the pathological mechanisms that underlie diseases and disorders of nervous system is called Clinical neuroscience. Diagnosis of disorders and developed novel treatments are discussed under Clinical neuroscience. Neuroscience & Clinical Research, Journal of Neuropsychiatry and Clinical Neurosciences, European Archives of Psychiatry and Clinical Neuroscience, Journal of Clinical Neuroscience, Psychiatry and Clinical Neurosciences, Brain Stimulation. Child Neuropsychiatry deals with psychiatric diagnosis, management of case, and management of medication to psychiatric illness in children. In general all brain disorders cause psychiatric symptoms Neuropsychiatric symptoms are those caused by organic brain disorders. Differentiation of such symptoms in children is difficult they are diagnosed by an experienced Pediatric neuropsychiatric. Psychological Abnormalities in Children, Journal of Experimental Child Psychology, Journal of Clinical Child & Adolescent Psychology, Clinical Child Psychology and Psychiatry, Child Abnormalities Journals, The Journal of Child Psychology and Psychiatry and Allied Disciplines, International Society for Research in Child and Adolescent Psychopathology, Neuropsychiatric Disease and Treatment. Abnormal and behavioural psychology, The Journal of Neuropsychiatry and Clinical Neurosciences,Journal of Behavioural Psychiatry, Clinical Neuropsychiatry - Journal of Treatment Evaluation, Journal of Neuropsychiatric Disease and Treatment , Cognitive and Behavioral Neurology, Cognitive, Affective and Behavioral Neuroscience, Current Topics in Behavioral Neurosciences, Journal of Neurology. Psychology and Neurology that aims to understand the structure and function of brain relation to specific psychological processes is studied under Neuropsychology. Treatment of patients with brain injury, disease and disorder are covered under neuropsychology. Neuropsychologists are the experts who work to treat or to do research on neuropsychological disorders, diseases and injury. International Journal of Mental Health & Psychiatry, Developmental Neuropsychology, Archives of Clinical Neuropsychology, Applied Neuropsychology, Applied Neuropsychology: Child, Neurosurgery and Psychiatry. Applied and rehabilitation psychology: open access, Journal of Neuropsychiatric Disease and Treatment, Clinical Neuropsychiatry, International Neuropsychiatric Disease Journal, Schizophrenia Research, Schizophrenia Research and Treatment, International Psychogeriatrics. Cerebrovascular accident, cerebrovascular insult, brain attack sometimes results in poor blood flow to the brain finally causes cell death this sudden change causes Stroke. Stroke is of two types Ischemic and Hemorrhagic. Stroke Research & Therapy, Journal of Neurology, Neurosurgery & Psychiatry, Stroke Research and Treatment, Topics in Stroke Rehabilitation,Stroke; a journal of cerebral circulation, Biological Psychiatry. Dementia is not a specific disease; it describes various symptoms of memory loss. Alzheimer's disease, Vascular Dementia, Dementia with Lewy Bodies (DLB), Parkinson's Disease Dementia, Mixed Dementia, Frontotemporal Dementia (FTD), Huntington's Disease, Creutzfeldt-Jakob Disease, Normal Pressure Hydrocephalus and Wernicke-Korsakoff Syndrome are different types of dementia. Dementia & Mental health, Dementia and Geriatric Cognitive Disorders, Alzheimer's and Dementia, Dementia, Journal of Dementia Care, Dementia e Neuropsychologia, World Journal of Biological Psychiatry. Clinical and Experimental Psychology, Psychosis - Taylor & Francis Online, Insight and psychosis, Current Psychosis and Therapeutics Reports, Movement Disorders, Parkinsonism & Related Disorders. Neurological Disorders, Journal of Neuropsychiatric Disease and Treatment, International Neuropsychiatric Disease Journal, The Journal of Neuropsychiatry and Clinical Neurosciences, Neuroscience & Biobehavioral Reviews. Psychology & Psychotherapy, Neuropsychology, Applied Neuropsychology:Adult, Applied Neuropsychology: Child, Aging, Neuropsychology, and Cognition, Cognitive Neuropsychology, Trends in Cognitive Sciences. Neuropsychiatric symptoms differ from early stage to later stage of disease progression and they are difficulty concentrating, depressed mood, anxiety, suspiciousness, ongoing unusual thoughts and beliefs, Bipolar disorder, Eating disorder, auditory hallucination, Visual hallucination, Schizophrenia, Obsessive-compulsive disorder, Depression. Acta Psychopathologica, International Journal of Family Psychiatry, American Journal of Psychotherapy, Journal of Abnormal and Social Psychology, American Journal of Psychotherapy, Journal of the American Psychiatric Nurses Association, American Journal of Clinical Hypnosis, Journal of Medicine and Philosophy, Epilepsia. International Journal of Neurorehabilitation, Neuropsychological Rehabilitation, Developmental Neurorehabilitation, NeuroRehabilitation, Neurorehabilitation and Neural Repair, Hiv Medicine. Neurochemistry & Neuropharmacology: Open Access, Neuropsychopharmacology, European Neuropsychopharmacology, International Journal of Neuropsychopharmacology, Japanese Journal of Neuropsychopharmacology, Progress in Neurotherapeutics and Neuropsychopharmacology, Journal of Psychosomatic Research, Epilepsy & Behavior. International Journal of School and Cognitive Psychology, Trends in Cognitive Sciences, Cognitive Psychology, Cognitive Brain Research, Cognitive Neuropsychology, Behavioural and Cognitive Psychotherapy, Acta Neuropsychiatrica, Journal of Neuroendocrinology, Critical Care Medicine.